Thanks for visiting my website and reading my interviews. 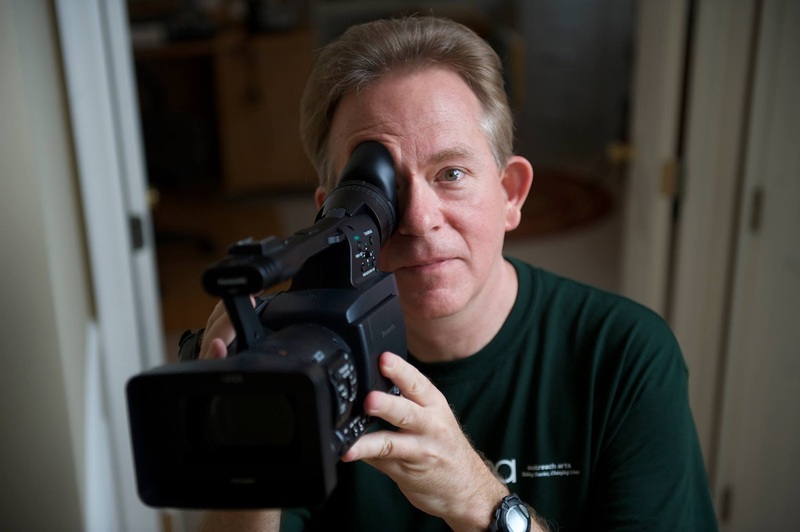 Here's my interview with Richard Wilson from southern New Jersey who is an Emmy award winner filmmaker, writer and director. 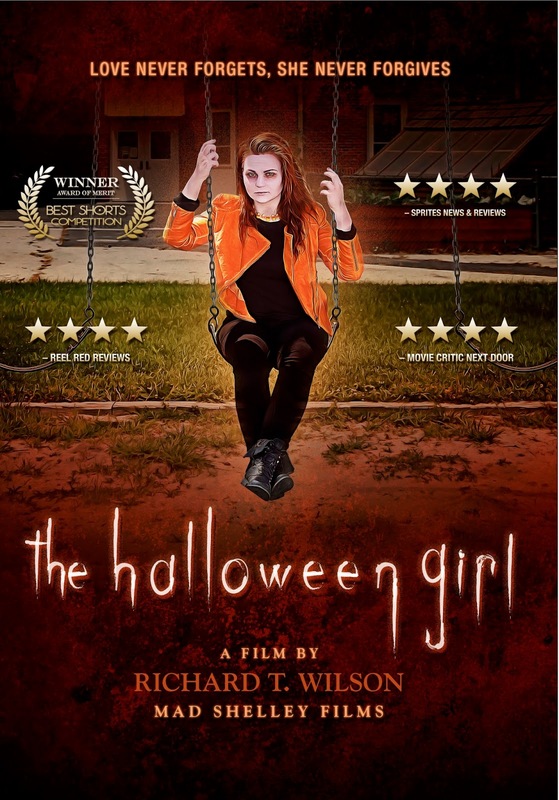 He talks about his film "The Halloween Girl" which winning some awards and receiving some awesome reviews. Read more and see what advice he offers to someone who also dreams to be a filmmaker. Probably the same things I love about a great rock ’n’ roll song; the power of all this visual sound and fury just grabbing the audience by the shoulders and cutting through all the BS! Seriously, for me, film is just the perfect marriage of all that I love about art - it just floods the senses and yet provides such an intimate, emotional conversation with the audience. Anymore, I couldn’t imagine telling my stories any other way! Tell me about your company, OutreachArts, Inc.. What services does it provide? Your TV mini-series “Maple Avenue” which is an Emmy Award Winning Series, you wrote and directed it, what has been the most rewarding about the series? I’m sure winning an Emmy was quite rewarding, but what else? While the bulk of our work comes from non-profits nationwide, "Maple Ave" was designed as an in-house project inspired by the at-risk teens and families I had been interviewing over the years. Yes, the series’ five Emmy® nominations and the win for "After I’m Gone" were awesome, but the teens who regularly shared their stories with me and those viewers the show helped, that’s been the most rewarding. I’ve watched some of the clips and the series has topics ranging from teen bullying, depression and suicide and other issues that impact our youth today, was there one particular episode that was very important for you to produce? Since 2001, you’ve written and produced over 40 films which have reached viewers nationally and internationally. Do you have a favorite one that you produced ? Wow, that’s really hard! 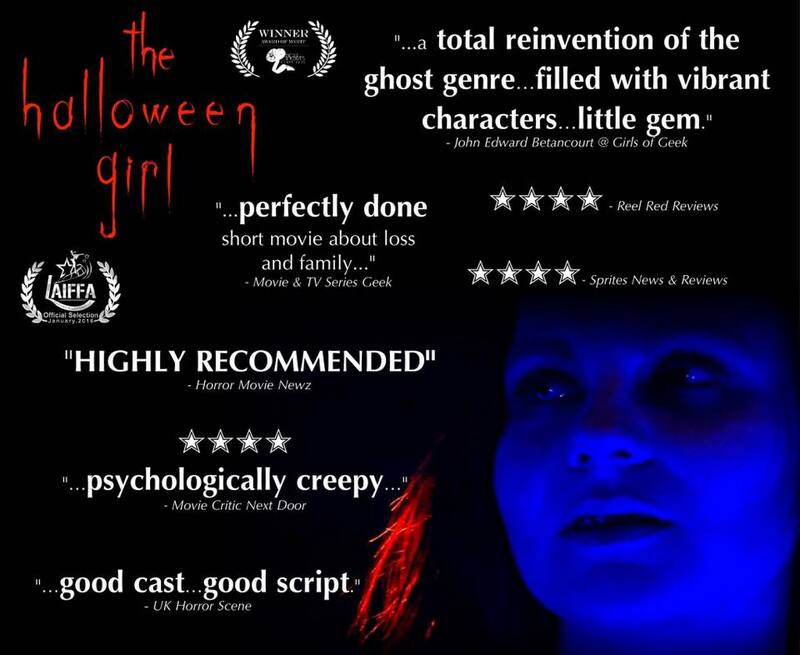 Though I think I’ve produced some of my best OutreachArts-related work these last couple of years, our Mad Shelley Films debut, "The Halloween Girl" has to be my favorite - very personal film for me. What’s your writing process like? Do you have a favorite place to write your scripts? I talk to myself ‘out loud’ in notebooks! I ask myself questions and don’t censor my responses - just write it all down! (laughs) This process ultimately leads me to writing dialogue and before long I’m typing things in to Final Draft. Actually, I’m not very precious about the writing process - making art is just messy - a lot like cooking really! 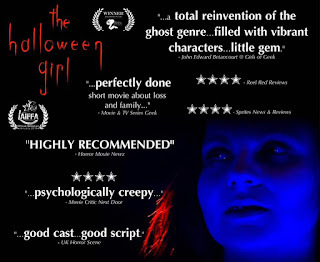 I have to know what inspired you to write your short “The Halloween Girl”? From what I’ve been seeing, it has been winning awards and touring festivals and most recent one was the Los Angeles Independent Film Festival Awards. You’re a director as well, do you prefer writing over directing? Writing - ALWAYS writing! I’ve been writing since I was 10 years old - and it’s seen me through quite a lot. Having said that, directing is pretty awesome too - I really love working with our actors and crew. 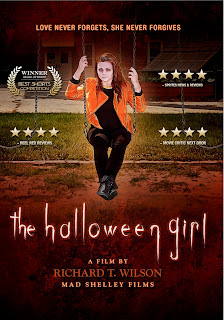 “The Halloween Girl” is a short, do you plan on maybe making it into a full length feature? No, it’s really pretty self-contained - we said all we needed to say there, I think. What other film projects are you currently working on? Well, I’m working on a new Mad Shelley script now that may head down the feature road and several new OutreachArts projects that should take flight later this year. Is there some advice that you can offer to those beginning in the film industry? What would you have like to have known when you started your company? There are a lot of people who are wanting to do exactly what you’re doing. Number one, know why you’re going in to the film business in the first place! I find most people just want to be rich and famous and they think once that’s achieved, all their personal problems will simply vanish in to thin air - obviously, all that has nothing to do with making films. However, if you have a burning desire to tell stories, and that desire isn’t dependent on big money and fame, then find your niche. For instance, what do you bring to the table that no one else does? Who is your audience - what do they look like? Once you’ve honestly answered these questions, then have at it and let the journey begin. If you’re in this for the right reasons, to honestly connect with people, have a conversation, you simply can’t fail. Besides, all the ‘glamour trappings’ are BS anyway! What was the first film or TV show that you wrote and produced? Actually, I consider my first film to be "On the Job", an adaptation of a very successful one-act play I had written in the early 90’s, about an alcoholic construction worker and his troubled relationship with his son. Though I’d had other work produced prior to this, ‘On the Job’ was my first directing gig - and I never looked back. Who do you look up in the industry and why? Most of the people I look up to are long dead! Actually, Rod Serling was a big influence because he took difficult social issues, wrapped them in entertainment and made them palatable to an audience that might otherwise turn a deaf ear. Really, Serling was just a natural heir to another hero of mine, Charles Dickens - both used their art to tell stories and change lives. Well, other than my beautiful wife and daughter, it’s obviously the non-profit/social issues community for my OutreachArts work. For Mad Shelley, however, it’s definitely the ‘Geek Girl’ contingent - I just absolutely love them! Actually, our"Maple Ave" series was very "Geek Girl"- centric as well - so, they hold a special place in my heart. What are three fun facts that you can share with my readers? When I was little, I made Super 8 "Planet of the Apes" sequels in my backyard w/ my little sister, cousins and the neighborhood kids - films that you’ll never see, btw! We shot part of "The Halloween Girl" at my old elementary school, Laurel Springs School (NJ) - where I wrote my very first story, ‘Lost in Unknown Galaxies’.